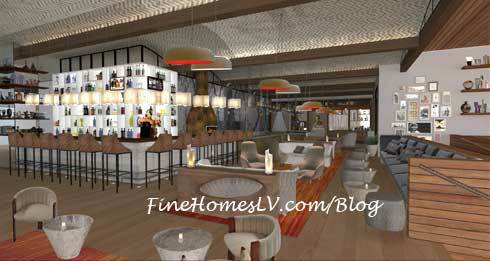 Chef, author and television personality Giada De Laurentiis is set to open her very first restaurant at The Cromwell Las Vegas, the first standalone boutique resort on the Las Vegas Strip. From the food to the dishware to the view, every item in GIADA’s has been carefully curated to bring to life the De Laurentiis spirit, vision and passion. Located on the second floor of The Cromwell, overlooking one of the busiest intersections in Las Vegas, GIADA is one of the most highly anticipated openings of 2014. With the space’s incomparable views, De Laurentiis felt it was imperative to make sure the interior was just as dynamic as the breathtaking scenery. Incorporating elements from her travels around the world and hand-selecting each item; there was no detail too small to be considered. De Laurentiis along with husband Todd Thompson worked closely with Studio Collective agency located in Los Angeles for the overall design of the restaurant. 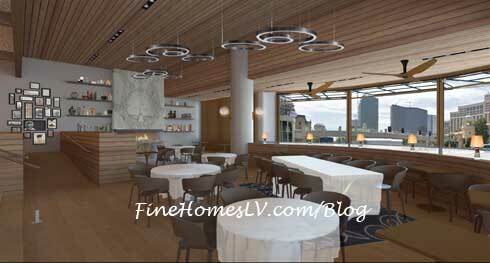 Breathtaking Views- With more than 20 million visitors crossing the intersection of Flamingo and Las Vegas Blvd., guests at GIADA will have a front-row view of one of the most exciting and dynamic areas in the world. 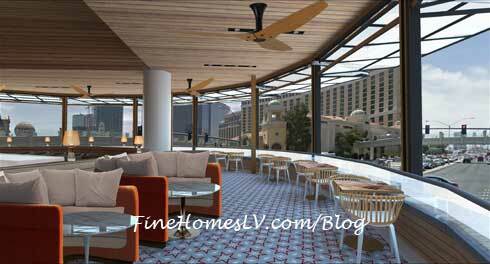 The terrace will showcase priceless views of the Bellagio fountains, Caesars Palace and Bally’s Las Vegas through seven custom 12’ X 10’ remote-controlled hydraulic windows wrapping around the perimeter of the restaurant, allowing for a uniquely al fresco dining experience. 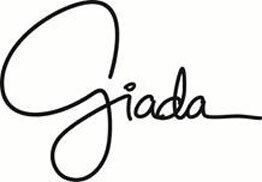 Hand-selected by Giada – GIADA is completely inspired by De Laurentiis’ personality and style, with its modern, yet sleek design featuring clean lines and pops of color. She has been involved in every design selection made for the restaurant, and has even gone as far as to test every chair in the restaurant. “I need to know how narrow, how wide, how sturdy they are. If I don’t sit in each chair, how am I going to know?” Featured art work includes favorites from De Laurentiis’ personal collection. De Laurentiis has even included design elements such as Italian tile she has encountered throughout her worldly travels. Unique Kitchen Elements- The first feature guests experience and smell as they enter the bar/lounge space is a custom antipasti bar which encompasses separate pizza and bread ovens and a pasta stand where chefs will be rolling homemade pasta. The antipasti bar itself consists of a hammered brass bar face and a Carrara gold marble countertop, with floating glass display shelves supported with complementary brass fittings from the vaulted ceiling overhead. On the back wall of this area are hand selected book-matched marble slabs which create the perfect backdrop. In addition to the showcase kitchen, there are cut-outs in the back bar liquor display which provide additional views into the kitchen, allowing patrons to catch a glimpse of the chefs hard at work. Rose Gold- De Laurentiis loves gold, rose gold that is. 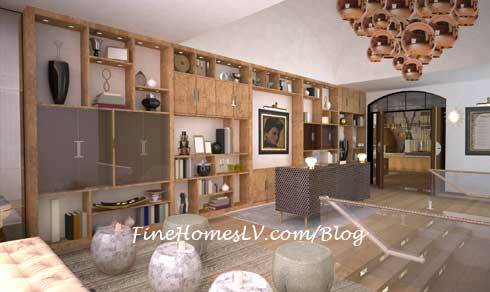 Her affinity for the chic metal can be seen as soon as guests step into the entry way, where they will be greeted by a hand blown, rose gold tinted chandelier, which not only lights the room but serves as an art piece. Rose gold can also be seen in the hand-selected dishware and lining the custom-made dessert cart. Family Touches- GIADA will feature framed family portraits and a selection of movie posters from De Laurentiis’ grandfather, Dino De Laurentiis’ career. De Laurentiis even paid tribute to her late grandfather by naming several specialty cocktails after movies he produced, such as the Jane Fonda classic Barbarella, that are crafted with ingredients inspired by and reflective of the stories themselves. While these are just a few highlights of what guests will experience at GIADA, all elements from the food and décor to the atmosphere will provide guests with the feeling that they are in De Laurentiis’ home and dining with the celebrated chef. De Laurentiis is proud to be a part of the Las Vegas culinary community and wants all guests to feel as though they are members of her family, including the locals. So much so, she created a special phone number for locals to call for information on the restaurant and to make reservations. That local line is 702-667-1799.